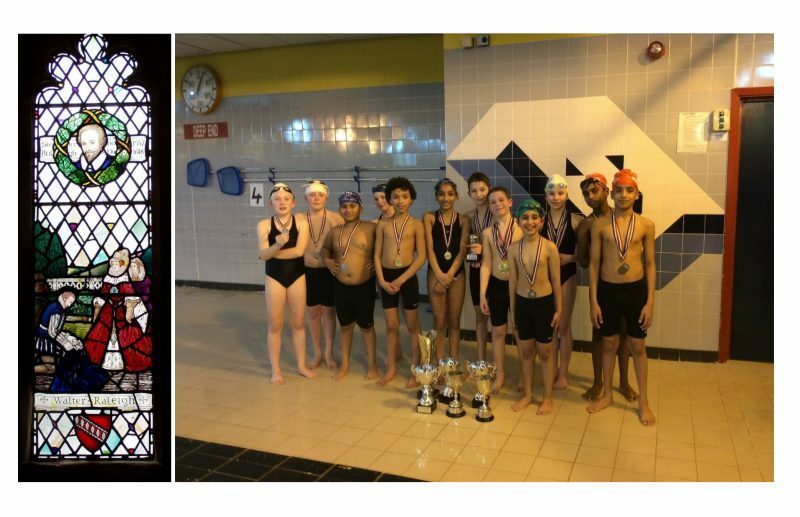 All pupils from Years 5 and 6 competed in the annual Primary Phase Swimming Gala on Friday 15th March, where every pupil represented their House by swimming in at least two races. All swimmers performed exceptionally well as they showcased their skills in front of their parents, teachers and peers, with the points tallying up nicely for their respected House. Winners from the heats went on to swim in semi-finals and then the finals with medals and trophies being awarded to pupils in 1st, 2nd and 3rd positions. Daniel Saunders had an amazing gala, swimming in three finals and winning all three. Zoe Nightingale won the individual medley and butterfly event. The seahorse relays were both won by Drake House, and as the relays were worth double points it made the scores extremely close going into the final event, where Raleigh pulled out a fantastic freestyle relay team which catapulted them into Champion House position.